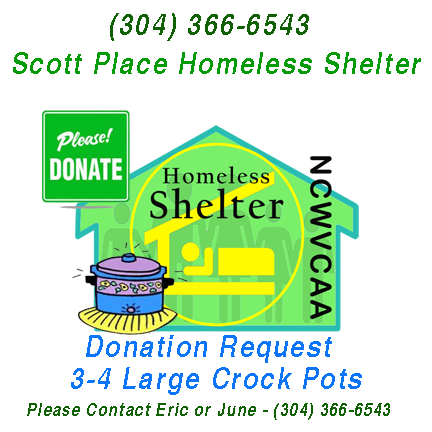 Scott Place Homeless Shelter in Fairmont, WV is in need of 3 or 4 large crock pots for serving dinner to guests. Please contact Eric Pulice or June Austin at 304-366-6543 if you have a donation. Thanks.